We are currently assembling our old ST(E)-Machines to release a slightly upgraded Version of Lethal Xcess. The release will be announced on the news page. It will feature an altered end sequence (we never got time to finish it) and will be created without the crappy copy protection. You can read more details from our projects department. If you want to play Lethal Xcess on STEEM 2.2 or higher, download a cracked copy by Elite (Lethal of Hotline) from the Thalion Webshrine. It runs fine on any STEem version > 2.2. The Elite crack supports even the original dual disk drive support, so no need to swap any disks. The Vectronix version supports only one disk drive, so unfortunately you need to swap the disks if you want to play the game. The D-Bug 191 also features a little cracktro coded by Heinz Rudolf. I guess there's not much other games which feature a cracktro by one of the original developers. Anyway don't expect something big since there was almost no time to create it. Unfortunately our "Amiga on a wire tools" are not available at the moment (cable needs to be resoldered), so we can't create the dual format Lethal Xcess disk. So we have to use a cracked version instead. Download Lethal Xcess from Ami Sector One. 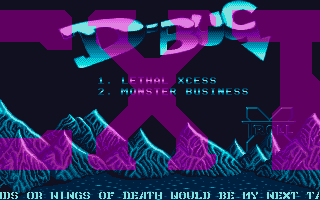 When Lethal Xcess was in it's early stages it featured one vbl player sprites on the Atari ST. 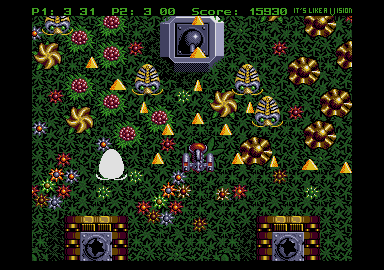 This way it technically looked very much like a famous Amiga Shooter called "Battle Squadron" which used the Amiga hardware sprites to pull that trick. Unfortunately the Atari ST has no hardware sprites, so you have to do it all on your own. The effect on real hardware is absolutely stunning. The Lethal Xcess beta version was used to demonstrate the capabilities of the engine. To give us time to explain a bit while still showing the game we stopped the scrolling right at the start of the beta to demonstrate the one vbl player sprite and the weapon system. Once you kill all the cannons the scrolling starts again and you can fight your way through the beta level. 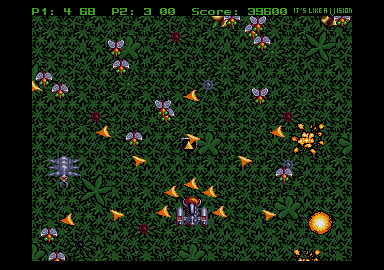 The one vbl player sprites were later sacrificed to allow more player missiles to be shot at once. What else can you expect from this beta version? Non existing loadable level logics, so the game will run the same level logic again with a non matching set of tiles :) you could call it a bug, but the truth is loadable level logic wasn't included at that time. A modified skull bonus symbol, which acts like a smart bomb instead of downgrading your weapon systems. Losing a life means only losing one weapon power unit, not all of them. Built in and activated "cheat engine"
Now get ready to download the beta version of Lethal Xcess but keep in mind it doesn't run with STEem out of the box yet since STEem 3.2 still contains a bug which causes the software protection to crash. Ijor was so kind to point out why it happens, it seems to be related to executing code on the hardware address of the PSG. Perhaps Russ will fix it soon, so we won't need to patch it with STEem Debug. If you need help how to run the PASTI image with STEem you might want to read these instructions. Download ST-Sound-Plugin (64 kb) with installation instructions for Netscape and Internet Explorer. The ST-Sound-Plugin for WinAmp (54 kb) enables you to listen to YM-Files in WinAmp. YM-Files can be generated from original Atari ST chipmusic with the ST-emulator PacifiST. Of course you need WinAmp to use the ST-Sound-Plugin. SIDPlug enables you to listen to SID-tunes in your Browser. SIDPlay emulates the Sound Interface Device chip (MOS 6581, commonly called SID) and the Micro Processor Unit (MOS 6510) of the Commodore 64 on your computer. Visit the website of cream to download PlaySID for your machine. This cool piece of software is available for the plain ST, the STE and the Falcon 030. PlaySID is a SID-emulator for replaying 'psid'-formatted C64 music files. Jam 1.0 from cream is capable of playing multiple sound-formats. The program itself is based on a plugin-structure. It runs on all original Atari ST compatible machines like (Mega)ST(E), TT 030 or Falcon 030. Download Hippel COSO Musics (295 kb) for the Deliplayer. There are all Amiga game- and intro-tunes including two additional Atari ST intro-tunes. Two of the Amiga musics are in a very special seven channel format. To listen to these great modules you need to install the Deliplayer. Deliplayer is freeware und supports nearly all oldskool sound formats from Amiga, Atari and C64. On Atari machines you can use jam 1.0 by cream. 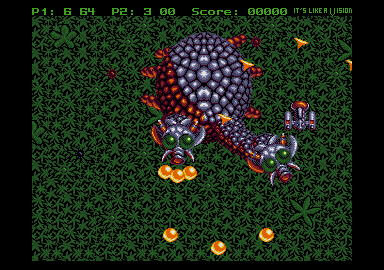 Lethal Xcess aka Wings of Death II a classic shoot'em up for Atari ST(E) and Amiga computers was developed by Claus Frein and Heinz Rudolf, Music by Jochen Hippel, Producer Marc Rosocha. All files on the Lethal Xcess Website copyright © 2001 Heinz Rudolf. 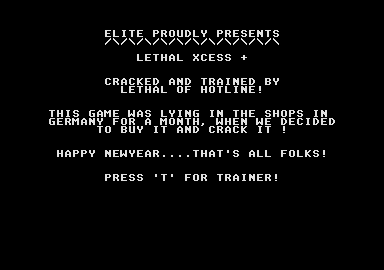 Lethal Xcess copyright © 1991 Eclipse Software Design. Wings of Death copyright © 1990 Thalion Software. ST/Amiga Soundtracks copyright © 1990/1991 Jochen Hippel. Cybernetics Font copyright © 1991 Jérôme Hubert. Previews / Reviews / Interviews belong the original authors or publishers. You should not read or view them, neither should you download any of these articles.